Lovely Blepharoplasty Signature is double eyelid surgery procedure by using Microlaser which reduces swelling, bleeding, and provides natural eye creases. 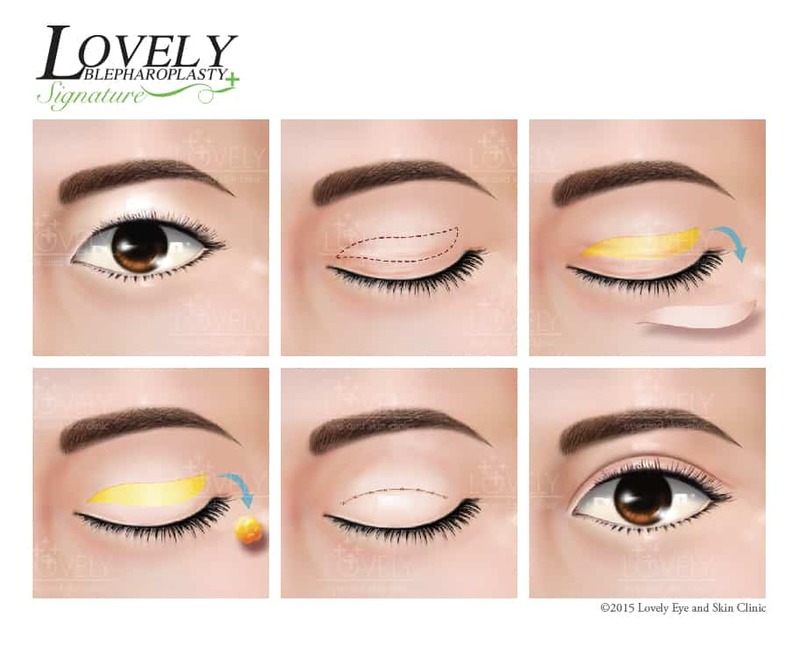 Every processes is highly delicate operation such as designing eye creases, drawing eye folds, including sewing which are needed the proficiency in procedure. Lovely Blepharoplasty Signature by dr. Roungkaw provides the most natural eye creases which patients can heal naturally and no sutures inside. When closing eyes, the creases are barely not seen. It takes 30-45 minutes for the operation by injecting local anesthesia. After the surgery, the patient is not needed to conceal eyes and can put makeup on about 2 weeks as usual. You can do your usual routine and take 7-10 days for stitch removal. Sometimes, non-absorbable sutures can be used but it takes long time than absorbable sutures. In case of having less eyelid skin or deep eye sockets patient, it can be done by Lovely Blepharoplasty No Stitch technique. The surgeon will widen the eyelid skin about 2 mm by microlaser and use special durable sutures to make double eyelids, and then close the lesion without stitch removal. It takes 15-30 minutes for the operation and them you can go back to your usual routine.